Racing authorities projected 20 minutes of images of the draw for the starting positions for Saturday’s The Everest horse race at Sydney’s Royal Randwick Racecourse. Protesters yelled “Shame” and used lights to attempt to obscure the projected images. The New South Wales state government triggered a public backlash last week when it overturned a decision by the Opera House’s chief executive, Louise Herron, not to allow the World Heritage-listed building to be used to promote such a commercial event. Since last Friday, more than 250,000 people have signed an online petition calling for Herron’s decision to be upheld. Anti-gambling advocates say the controversy is evidence of the political sway of the horse racing industry. 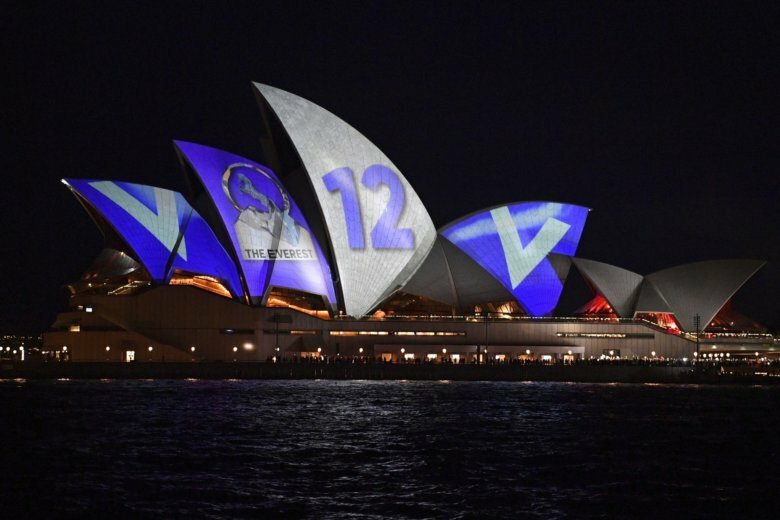 Racing NSW, the race organizer, had planned to project the draw live on to the Opera House. But they opted to conduct the draw hours earlier in case the protest disrupted the Opera House promotion. Betting was suspended between the time of the draw and when the result was projected. Minister for Sport Stuart Ayres called on Sydney to end the bitter division over the Opera House’s use. The NSW Heritage Council, an adviser to the government on heritage issues, said it was disappointed with the government’s decision to turn the “international architectural masterpiece” into a billboard. “The use of the Opera House for the commercial advertising of this event is completely unsatisfactory and is an inappropriate use of this significant heritage place,” council chair Stephen Davies wrote in a letter to state Premier Gladys Berejiklian delivered on Tuesday. The Everest has 13 million Australian dollars ($9 million) in prize money and is billed as the world’s richest turf race.